Below is just a small sample of the businesses we serve. While we specialize in the hospitality industry, our portfolio is very diverse and includes but is not limited to restaurants, bars, tatoo shops, office buildings, pizza shops, bingo halls, flea markets, private aviation facilities, nail salons, speciality shops, beach and lake facilities. If you are thinking about placing an ATM in your place of business we can help. ATM Houston can offer several permanent placement options for businesses. When you choose our Hands Off permanent placement option you can get a turnkey solution that is fast, easy, and reliable. Of course, every option is reliable but other than Hands Off you will have to do some of the work. 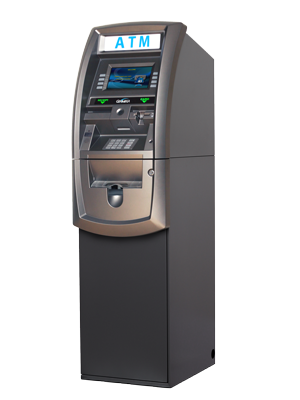 ATM Houston installs and maintains its own ATM at your place of business. Under this option, you incur no costs associated with the ATM, and ATM Houston pays you a portion of the surcharged transaction per withdrawal depending on the monthly volume and surcharge. For high volume locations or hotels with 250 or more rooms we split the surcharge with you. All that you need to provide is the internet connection. No delivery or installation charges! We handle everything at no cost to you. ATM Houston installs and programs its own ATM at our own cost. You fill the ATM with your funds and provide internet access. We supply necessary receipt paper. Using this option, ATM Houston pays you half the surcharge amount per cash transaction* usually within the first 20 days of the month following. You willl have to pass a credit check, sponsor bank approval and Homeland Security check. For high volume locations or hotels with 250 or more rooms we split the surcharge with you. All that you need to provide is the internet connection. No delivery or installation charges! We handle everything at no cost to you. 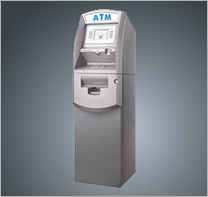 You purchase an ATM from ATM Houston with prices from $1945.00 and up. We will install and program the ATM included in the cost. You will need to supply internet access. Your business needs to open a separate bank account just for this in order to keep the ATM funds and surcharges separate from your general operating account. We will provide processing services for you for all cash dispensing transactions, balance inquiries and transfers. You will also receive a one year parts waranty and 90 days labor except for neglect, misuse or spillage. ATM Houston also provides repair service to Hantle, GenMega, Hyosung and Triton ATM machines. We supply parts free of charge while in warranty, maintainance and repair service for Hantle, GenMega, Hyosung and Triton ATM's for Houston and surrounding areas. We will travel out of the Houston metro area but mileage is charged @ 0.55 per mile plus $40.00 per hour drive time in addition to the $150.00 service call. Travel time is included in the service call within the Houston metro area. Our trained technicians are ready to service your ATM when in need of repairs and provide preventative maintenance to assure your ATM is in top working condition during peak hours. Many of your ATM repair needs can be solved over the phone and our trained technicians are available to walk you through the steps to place your atm back in service. Our ATM M&R Program includes on site service if necessary but we will try to solve your issue over the phone first. Most ATM's will tell you what is wrong if you just know where to look. We know where to look and we can guide you through over the phone. Some models can even be remotely diagnosed. This means when we come out, if necessary, we will have the right part to fix it on the first trip. The M&R program is for ATM machines that are out of warranty. During the warranty period of one year all ATM manufactures pays for the parts only now. Our M&R program includes supplies such as receipt paper, telephone support, on site labor, software upgrades as required and 24 hour or less response time. Parts are not included in the M&R program. This is for ATM's that are over a year old. Even if you purchase a new ATM only the parts are covered. You still have to pay for the service call and repair labor. Our service call price is $150.00 per trip. If we can repair the machine in 15 minutes there is no additional charges. If parts are required for the repair then another $150.00 plus parts and $75.00 per hour if the repair takes over 15 minutes. If your ATM is over 5 years old you should consider replacing it with and new ATM today. With one year pre-paid you can easily cover the cost of one repair if parts are required and get free receipt paper always. With our M&R program you will receive our "move to the top" service. This means that your service call will be a priority and not just put in a "que".